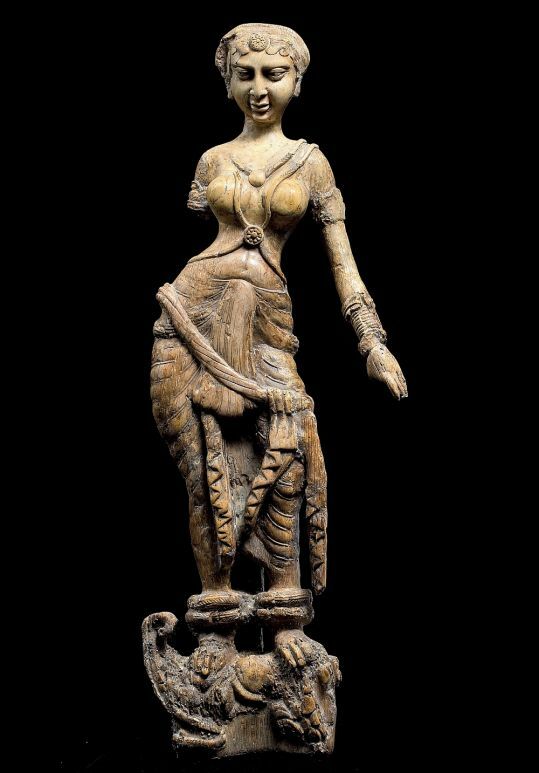 Large ivory figure of a woman standing on a ‘makara’ – a hybrid mythical creature. 0 – 1st century AD. Source: Thierry Ollivier / National Geographic. The Begram site is mysterious – it is still unknown if these treasures were part of a Royal treasure hoard or were the commercial stock of a Silk Road merchant, given Begram’s location at the very heart of the Silk Road. Whatever the case may have been, it also remains a mystery just why these rooms were sealed up and why no-one ever returned to claim the precious objects. Enameled glass beaker. 0 – 1st century AD. Source: Thierry Ollivier / National Geographic. Among the finds in the rooms at Begram were glassware, bronzes and plaster medallions from ancient Rome, Indian ivory carvings and a small number of fragile Chinese lacquers, now held at the Musée Guimet in Paris. 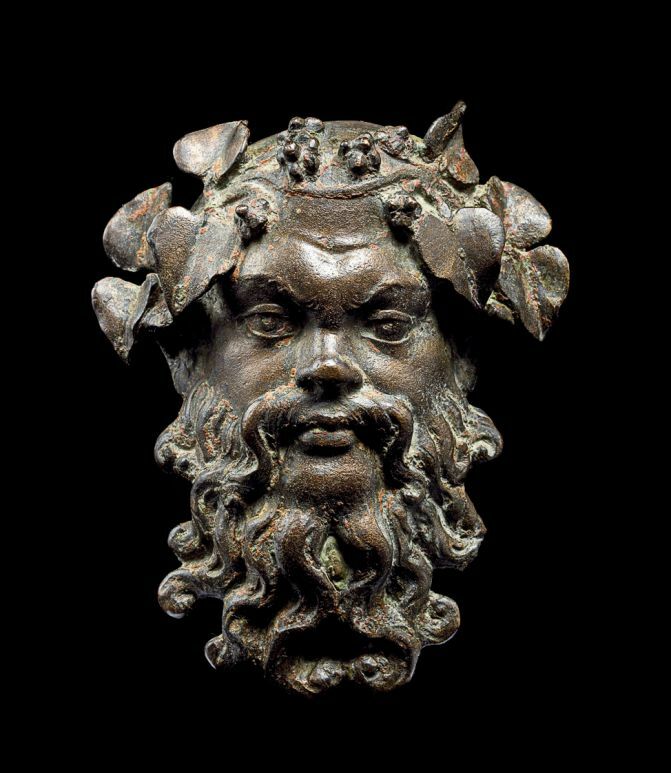 A bronze medallion in the form of Silenus, a Greco-Roman god. 0 – 1st century AD. Source: Thierry Ollivier / National Geographic. 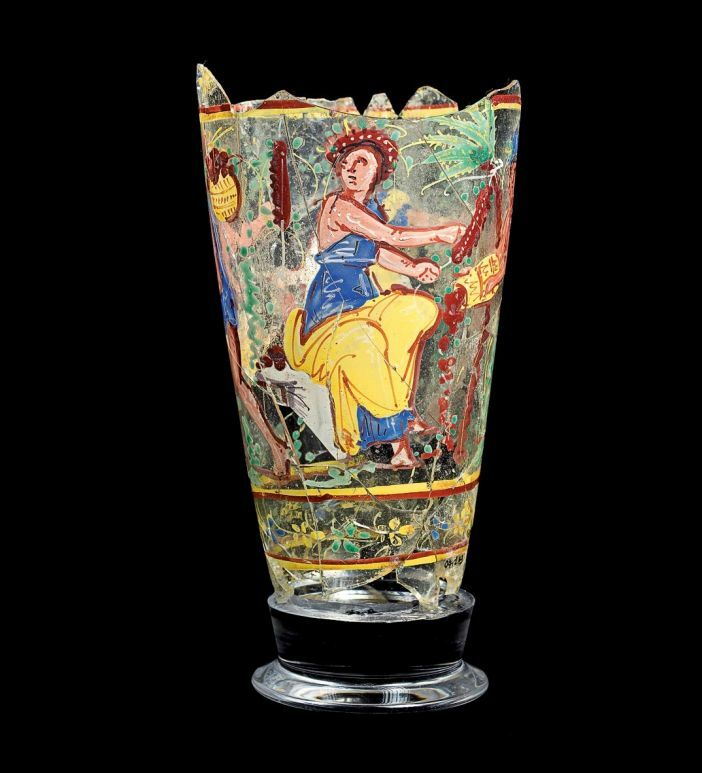 Highlights from Begram that can be seen in the Afghanistan: Hidden Treasures include several intricately carved ivories, brightly-coloured painted glassware depicting people gathering dates and several glass flasks shaped like fish. There are also bronzes and medallions depicting goddesses believed to include Athena and Aphrodite.